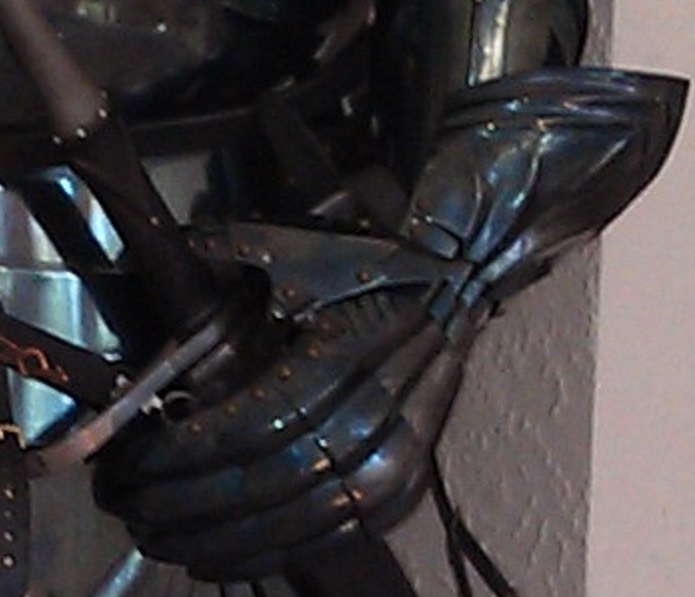 Just wanted to know if anyone has any recommendations for where to get a pair of functional 15 Century Gothic gauntlets, I have a budget of sub 1000aud. I got mine as part of a 3/4 harness from Steel Mastery about 9 or 10 years ago. These are solid across the fingers, like mitten gauntlets, but shaped and figured. The main segment has seven articulated plates; the thumb has four on a hinge attached to the main body. Fully strapped inside. Great protection for the hand, flexible and comfortable! They should be under your price threshold. 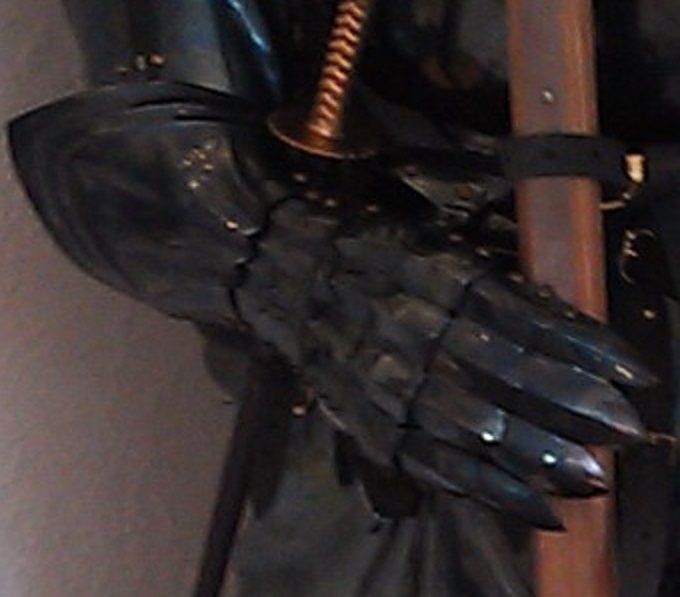 They also have "fingered" gauntlets if you aren't a fan of this style. They've gone through phases of better and lesser communication, but that was mostly an issue of health a few years ago. I've done about a half dozen orders with them, including a brig and few accessories, and have been well informed and happy with the result each time. I got mine from Illusion Armoring http://www.illusionarmoring.com/ . . . they're also linked through myArmoury's links page. Granted, their website has been listed as not taking new orders for a year, in order to catch up on backlog, but you could always email them and ask what the timeframe on when they'll take new orders is. Their work is top quality and I'd recommend them to anyone. Of course, that top quality work is probably the reason they're so far backlogged.